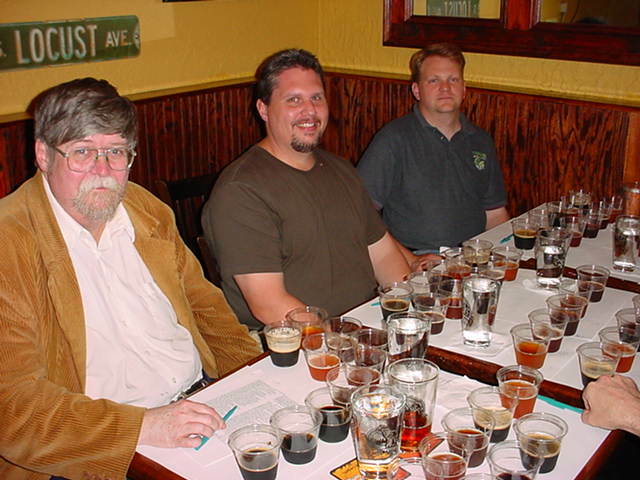 Brewtopia Events Blind Tasting / Evaluation - Strong Ales from Around the World! Owen Ogletree (director of Brewtopia Events LLC) gathered together fellow beer lovers Lari Cowgill, John Cochran (from Terrapin Beer Company), Thel Melton, Johnnie Sutherland, and John Gayer (from Normal Brew Shop) on May 18, 2004 at Copper Creek Brewing Company in Athens, GA to sample and comment on several strong ales from around the world. This sampling was done as a blind tasting where no one was aware of the brands that were being served. Products were informally commented upon and ranked according to Beer Judge Certification Program (BJCP) style guidelines. First, second, third places, and honorable mentions were awarded to the products we felt represented their individual styles in extraordinary fashion. Drop Owen an email to share your comments and opinions. Aroma: Coffee grounds, espresso aromas, alcohol. Appearance: Very black and viscous. Flavor: Roasty with a great espresso-like finish. Not very acidic. Hop content is substantial and the finish is bitter-sweet. 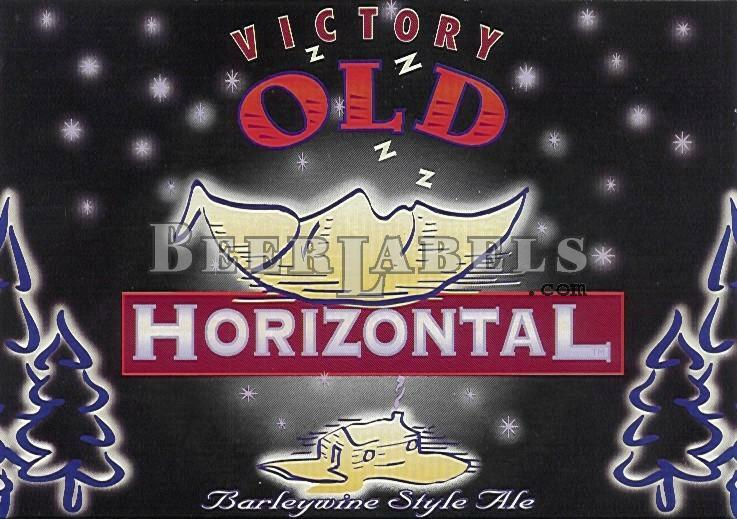 Malt, roasted barley, and hops all work together extremely well to make this a rich, luscious dark ale. This is an impressive beer with a warming, dark chocolate note. Aroma: Lots of resiny, spicy American hops. Appearance: Clear with light carbonation and a bright amber color. Flavor: American hop flavor and bitterness are floral and pleasant. This is a malty beer with a terrific hop/malt balance. Smooth yet assertive - hops resonate on the tongue. A splendid Barleywine that is very delicious. Aroma: Plums, raisins, perfume and passion fruit. Appearance: Mahogany with a slight haze and very low carbonation. Flavor: Viscous with a mild, pleasant sourness and heavy mouthfeel. There are undertones of herbs, plum, and maple syrup. The mouthfeel coats the tongue and flavors of caramel appear in the finish. This beer has a good balance between bitterness and sweetness. Aroma: Winey and cordial-like with notes of whiskey and rum. Appearance: Jet black with a very light head. Flavor: This is more like a liqueur than an Imperial Stout. This beer is very high in alcohol warmth and alcohol flavor, and has notes of strong plum, syrup, maple, and port. It has a big mouthfeel and is outrageous and impressive. Very high end of this style and goes overboard on many parameters of an Imperial Stout. This is a sipping beer with roast/coffee character in the background. Quite an experience. Aroma: Mild alcohol, hops, light malt and caramel. Appearance: Dark copper in color -- clear with a mild white foam. Flavor: Beautiful floral hop flavor with good malt for balance. Not a very bitter ale and lacks any sherry-like, oxidative character. May be better with some age. Extremely pleasant and drinkable. Aroma: Honey and fruit with a touch of alcohol and sourness in the aroma. Appearance: Golden with a clear, white head of foam. Flavor: Malt and honey with a very restrained hop bitterness. This exhibits a fine malt flavor, but is not sweet. There is a bit of butterscotch, smoke, and dark toast in the flavor. Aroma: Raisins, candy, fruit, caramel, and toffee. Appearance: Dark amber with light beige foam. Flavor: Butterscotch notes. Sweet, fruity, candy-like with hints of cherry. Malt character is a bit too sweet for this style. There is no hint of roast or smoke. Too fruity and not "Scottish" enough. However, this is a very delicious ale. Aroma: Earthy, horsey, Brettanomyces notes. Aroma also is sour and fruity with hints of smoke. Appearance: Dark brown and hazy with a tan head. Flavor: Sour, salty, citrusy, earthy, and cellar-like with a bitter finish. This is a very complex and unusual beer with a unique, rustic character. Slight infection could be present. Not for everyone's taste. Aroma: American hops, butter, pine, and wood resin. Appearance: Very slight haze with a deep golden color. Flavor: Hop/malt balance is commendable, but the hop choice is a bit harsh and medicinal. Malt character includes delicious toasty and buttery notes..
Aroma: Fruit, wood-like hops, roast, flowers, tannins, and raspberries. The aroma is complex, yet mild. Appearance: Thick foam with hints of red and amber color. The beer is very black. Flavor: There is a great raspberry flavor and finish blended with chocolate and an alcohol presence. There is a dry, medium/full mouthfeel and body. This beer could perhaps use a bit more malt sweetness to backup the fruit. A very pleasant, pleasing beer that is light in roasted grain character (so the raspberries come through more).